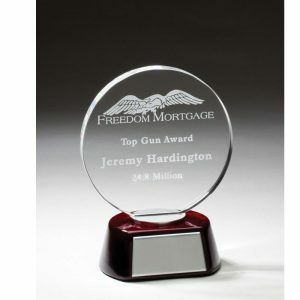 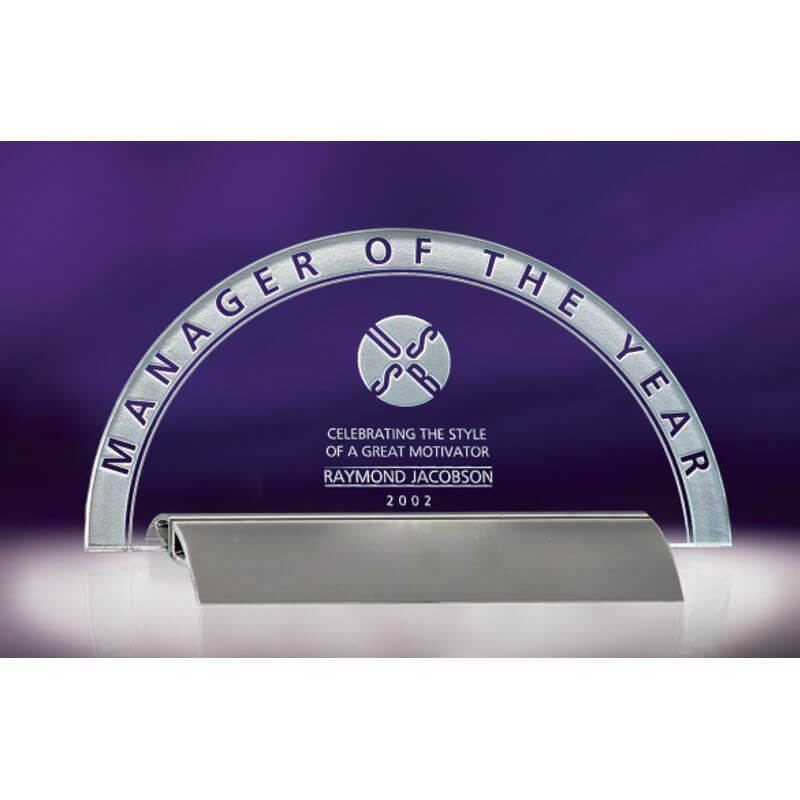 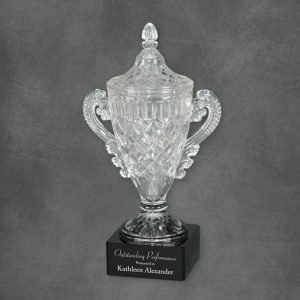 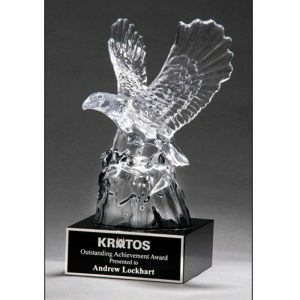 Branscom Horizon Jade Crystal Award brushed aluminum combines with jade crystal for a designer look at a very affordable price. 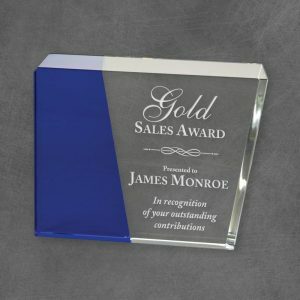 Our reverse etch semicircle becomes part of the overall design and likewise compliments the brushed aluminum texture. 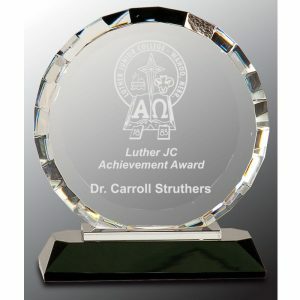 For aesthetics, we recommend positioning your logo and award inscription as shown.